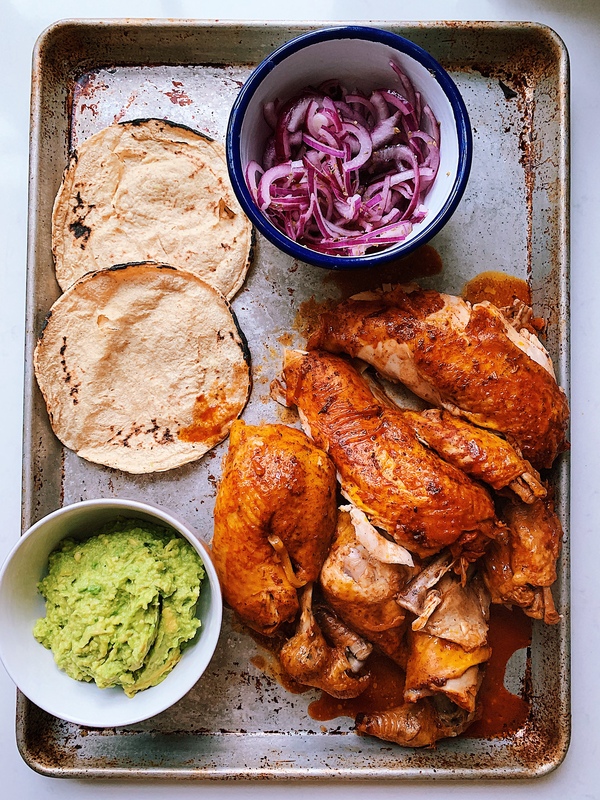 Have you heard of Cochinita Pibil? It is a dish from Yucatán, Mexico made with pork, achiote a mix of annatto seeds, spices, bitter orange and other ingredients, it is a delicious recipe that you have to try to make because you will wow your family, it is call cochinita because it is make with pork, but you can use achiote to cook other lovely recipes, like this recipe made with chicken. I bought an organic chicken at my local butcher because I believe in good and conscious farming and also I think the flavour is better. The recipe has the same ingredients as the pork pibil, but it takes less time. In a blender put the achiote paste, Orange juice, lemon and oregano to blend until the achiote has dissolve. Set the achiote mix aside. On a casserole dish (Dutch oven) place the sliced onion on the bottom together with the mince garlic. Then place the whole chicken inside the casserole dish (Dutch oven), add salt and pepper and the achiote mix and leave to marinate for at least 2 hours. Preheat the oven 15 min to 180 degrees C. Add a cup of water to the chicken, before place it into the oven (this will prevent the chicken to get dry and it will make a lovely achiote broth) put the lid on and place in the oven. Cook for an hour and a half. Checking half way, if the chicken is not dry. If it needs more water add 1/2 cup. Take the chicken out. 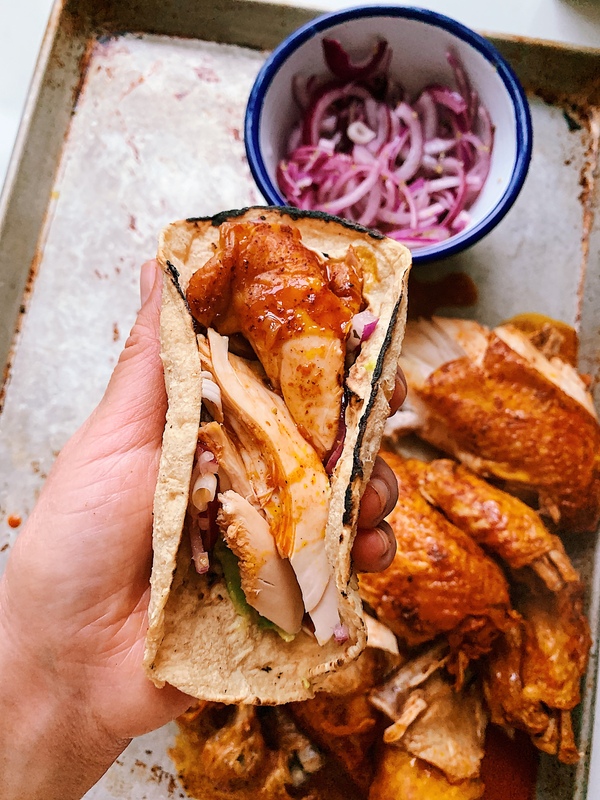 Cut it in to pieces and serve it with corn tortillas, pickled onion, spicy salsa and some guacamole! Karla,I am a displaced Southern Cal guy. How do I get that Ensenada taste in my food? Why does Ensenada food taste different than Tex-Mex food?